Get out of town with these interesting Perth side-trips: Dolphin & Whale Watching (in Mandurah), Rockingham (Rockingham Beach & Penguin Island) and Fremantle (Fremantle Prison, Fremantle Markets, & more). Pack the 3rd (Mon) with family-friendly diversions at Adventure World Perth Australia. Dedicate the 4th (Tue) to wine at some of the top wineries in the area. And it doesn't end there: contemplate the waterfront views at Swan River, tour the pleasant surroundings at Cottesloe Beach, kick back and relax at Scarborough Beach, and pause for some photo ops at Kings Park War Memorial. 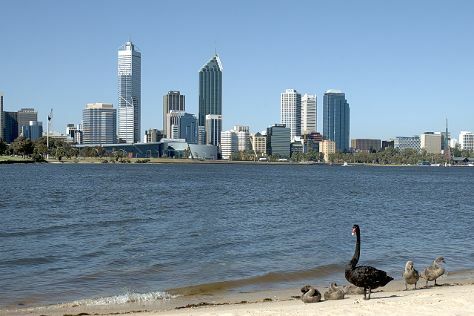 To see more things to do, photos, maps, and tourist information, read our Perth trip planner . If you are flying in from Malaysia, the closest major airport is Perth International Airport. In May, daytime highs in Perth are 25°C, while nighttime lows are 11°C. Wrap up your sightseeing on the 8th (Sat) early enough to travel back home.